Get sophisticated in bed and invest in the Chieno bed set. Its refined look is a simple way to modernise your bedroom. Chieno looks great and feels even better. Crafted from 100% cotton, the natural fabric is screen printed with an understated sketch pattern – it’s a great twist on minimal style. 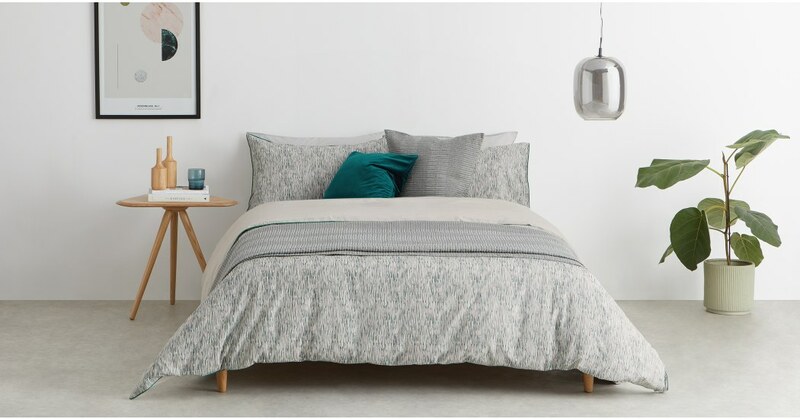 Designed by our talented MADE Studio team, the Chieno bed set is finished with contrasting green piping. It elevates the classic style, giving your bedroom a refined look.